Tehran (AFP) - Iranians will vote to keep opening up to the world despite the "climate of tension" created by US President Donald Trump, vice president and election candidate Eshaq Jahangiri vowed in an interview with AFP. "Our government has started along a good path -- the nuclear issue was settled, we have stabilised the economy, hope has returned. I am confident Iranians will vote for this government to continue its work," Jahangiri told AFP at his office in Tehran. But he said the aggressively anti-Iranian posture of Trump's administration threatens to undermine Iran's reconnection with the world. "Mr Trump is creating a climate of tension. 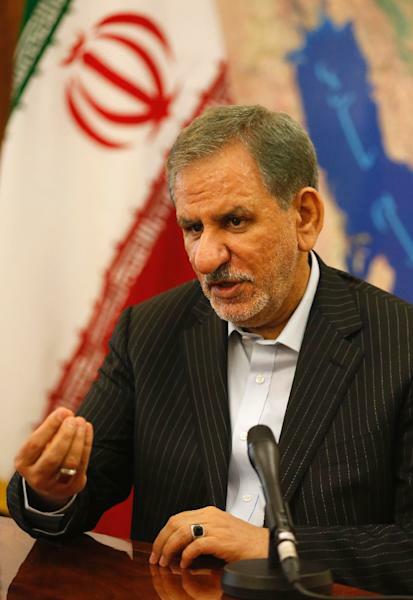 If he creates problems, Iran has the means to make him regret it," said Jahangiri. A leading reformist, the 60-year-old is only standing in the May 19 election to support his boss, moderate President Hassan Rouhani, as he faces an onslaught of criticism from hardline candidates in pre-election debates. He said there was a "90 percent chance" either he or Rouhani would drop out just before the election "to ensure our movement wins." 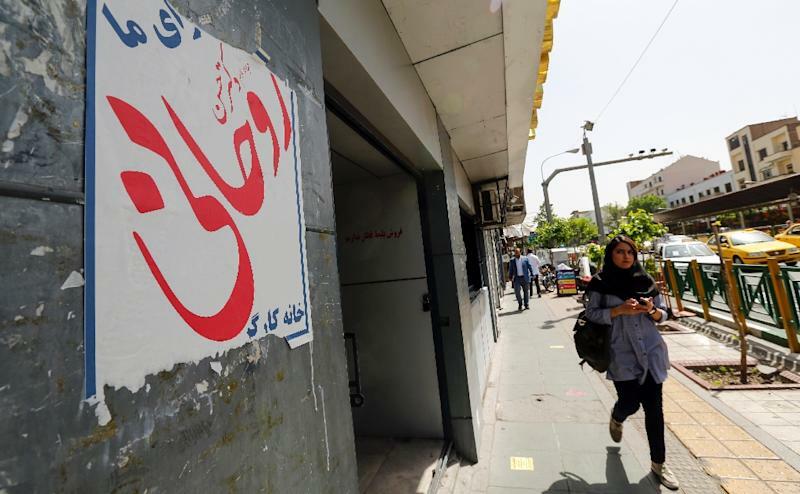 Polls still see Rouhani as the frontrunner, but conservatives have slammed the continued stagnation of the economy and failure to capitalise on a 2015 nuclear deal with world powers that lifted many sanctions. Trump's threats have scared off global banks and investors, Jahangiri said, but he remains confident other parties to the nuclear deal in Europe, Russia and China will not allow it to collapse. A key test will be whether Trump agrees to continue suspending sanctions against Iran -- which he is scheduled to do over the next two months. "If he doesn't, it will be a major blow to the nuclear deal," said Jahangiri. Rouhani and Jahangiri have tried to shift the focus of the campaign towards civil liberties, arguing there is much greater freedom since they took over in 2013 even if the conservative-dominated judiciary and security services have frustrated some of their efforts. "Despite all the problems and obstacles... the situation is better in universities, in the media, in the cultural domain," he said. The apparent hypocrisy of the struggle over civil liberties is highlighted by the ban on Twitter, which continues despite the fact that all six candidates and the supreme leader are regular users. "This is part of the problem of Iranian society: faced with new technologies, there is always resistance," said Jahangiri, recalling the early days of the Islamic revolution in the 1980s when video cassettes were banned. "Iranians adapt... they find ways to get around these things. And we've developed the infrastructure so that people have fast internet access," he said, adding that other social media such as Instagram and Telegram are not blocked. But the most pressing challenge for the current government has been the economy, which is Jahangiri's portfolio. Rampant inflation has been tamed, but the government has struggled to boost growth beyond the oil sector, and foreign trade deals are held up by the chaotic state of Iran's banks and fears the US may reimpose sanctions. 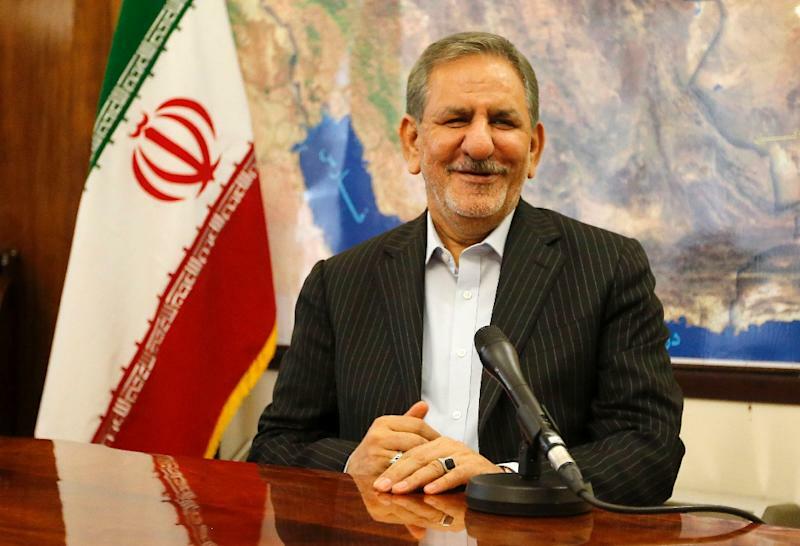 "People have been under a great deal of pressure these past years due to sanctions and the poor management of the previous government," said Jahangiri. "The economy has been put on the right path but we are still a long way from an acceptable position... unemployment is in a worrying place." He said the government would continue with efforts to boost the private sector, reform the banks and attract foreign investment. But he admitted they were far off the $50 billion a year in outside investment that Rouhani said was necessary to meet his growth targets. Foreigners have invested "less than one or two billion dollars" since the accord, he said. A raft of huge financing deals are ready to go with European and Asian countries, but global banks are waiting for signals from the Trump administration. "If sanctions return, we can manage. For the first three years of the government, sanctions existed but we still stabilised the economy." But, he said, "we don't want to go back to that."